GARNiDELiA will release Kyoki Ranbu on September 26, 2018, an album compiling every song from their internationally acclaimed online dance series including their hit song Gokuraku Jodo. In the run up to the album’s release, GARNiDELiA released the eighth entry to the hugely popular choreography video series on their official YouTube channel. Titled avra K’Davarah, the song is also available for digital download. The new song was first performed in Shanghai on July 22 at BILIBILI MARCO LINK 2018, an event organised by Chinese video streaming website Bilibili. Fans’ jaws dropped at the reveal of the brand new song, causing the room to burst in a roar of excitement in an instant. 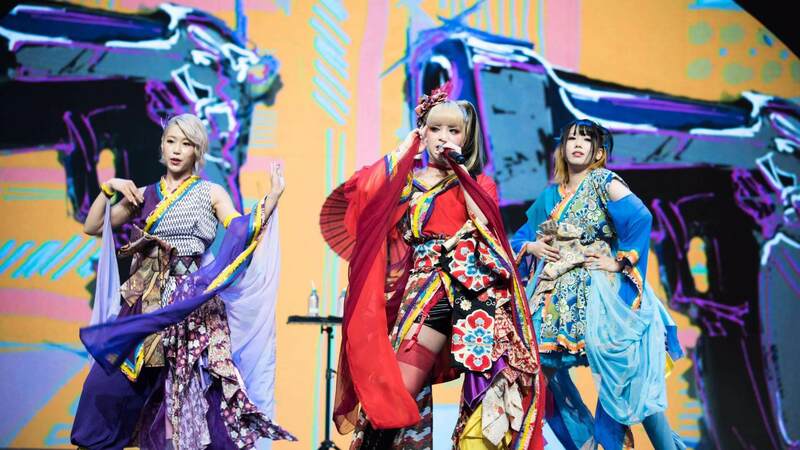 GARNiDELiA’s dance series has garnered popularity not only in Japan but overseas too where people have been waiting in anticipation for new content. Fans will be happy with this brand new video being dropped. The duo will perform at BILIBILI MARCO LINK 2018 again in October 6 in Beijing. There are eight videos in the series so far, but the album will contain a total of 10 tracks. We can’t wait to see videos 9 and 10.